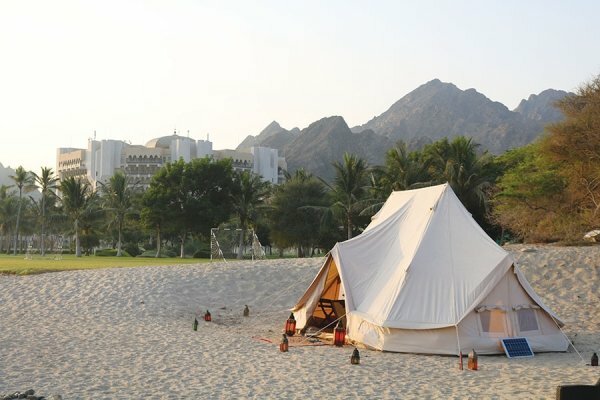 The Al Bustan Palace now lets you camp on the beach! Living in Oman, it's hard not to do at least one weekend camping in a tent. 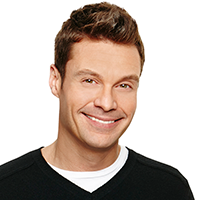 But camping isn't for everyone, and once it's been experienced, you know whether or not you want to do it again, but this is where "glamping" comes in. 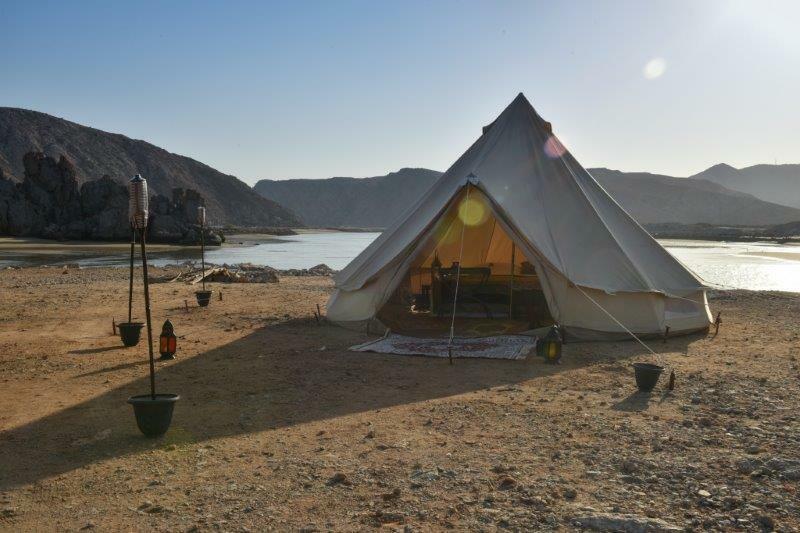 The Al Bustan Palace is now allowing guests to camp on the beach, in luxury! And it'll be enough to make you want to camp there every weekend! 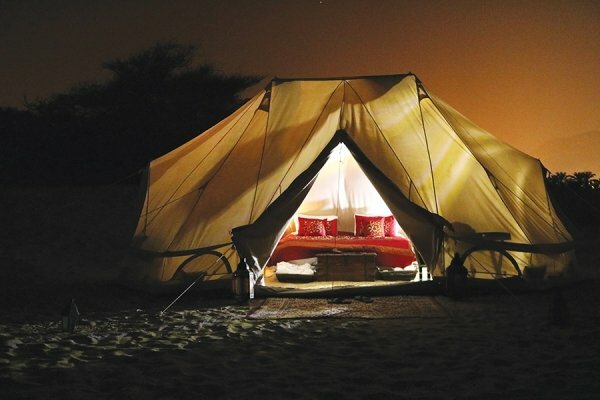 As part of The Al Bustan Palace Canvas Club package, guests are able to get the room they have booked upgraded, so not only are you given a hotel room, you are also given a torch to help you find your glampsite for the night, it's a perfect option for guests that are staying for longer than one night. Allowing you to pick and choose between your private beach glampsite, and your luxury hotel room. The tent is fully equipped with power (so you can charge your phone), lights, air conditioning, and a huge bed for 2 kitted out with luxury bedding. Your campsite also has a separate shower and toilet area, so you won't have to dig a hole! As well as the tent and bathroom area, you are given your own private majlis, where you'll be able to order room service, food and drinks with the mobile phone provided to you by the hotel - They really have thought of everything haven't they! It's likely that this could be the most romantic way to spend a weekend with a loved one, with the foot of the bed facing the door to your tent, you can wake up to the view of the waves crashing onto the beach... bliss! You'll be able to book your glmapsite through the Al Bustan website when you book any room, there is an added supplement of up to OMR100 for the glampsite.